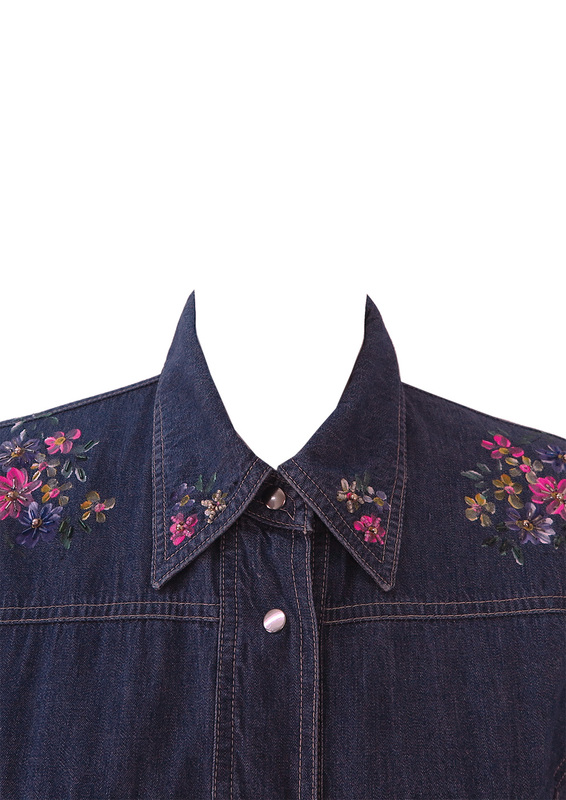 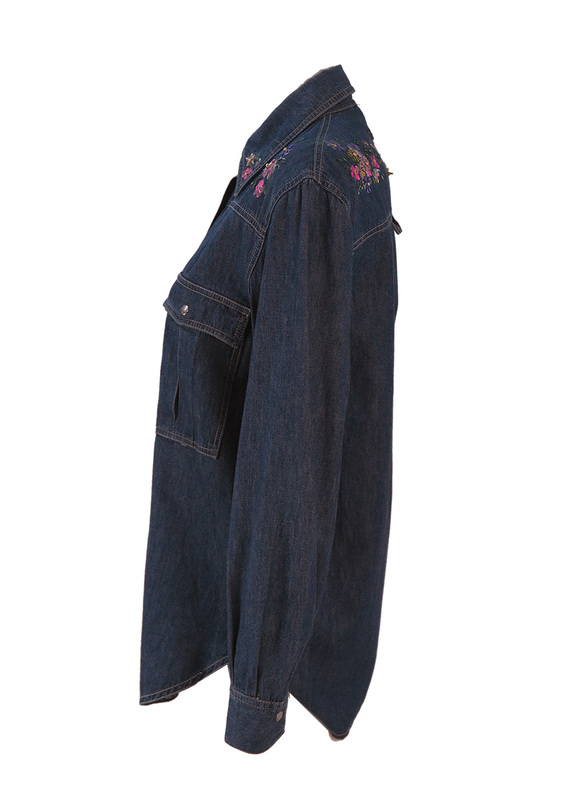 Dark blue denim shirt with painted floral detail in pink, purple and yellow at the collar tips and shoulder area – front and back. 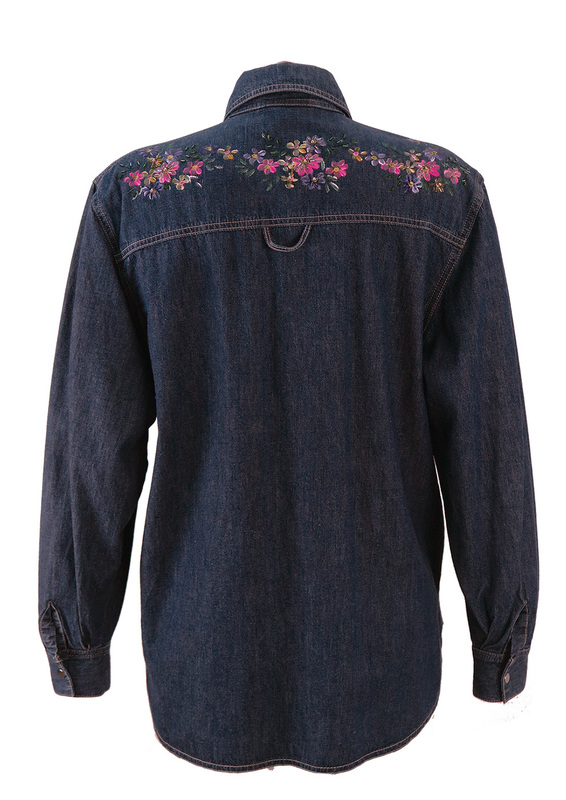 The pattern is further enhanced by stitched beading for extra standout. 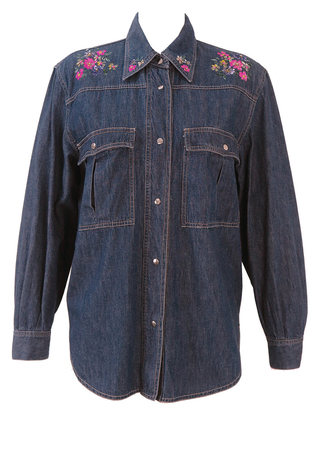 The shirt has classic popper fastenings and curved hemline in a classic denim Western cut. We have sized the garment as M/L as the style is deliberately casual/oversized.